Thinking about popping the question? Looking for a beautiful, large diamond, but don’t know where to start? Look no further! 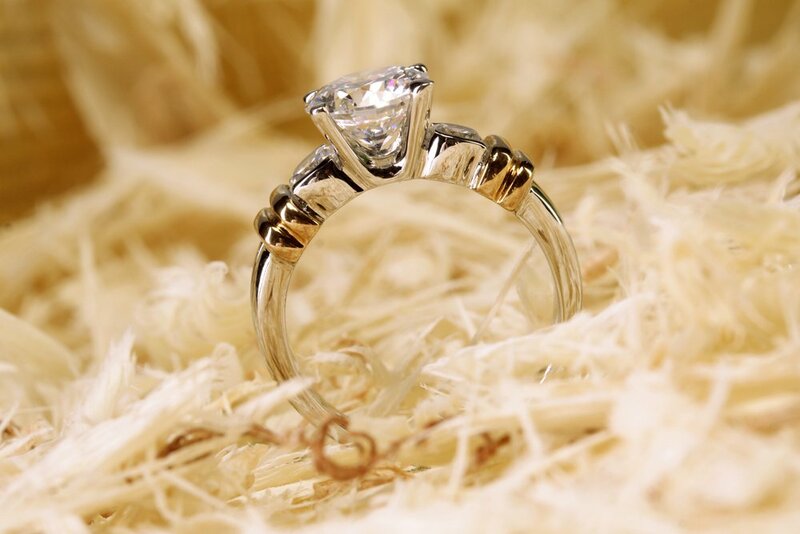 Whether you’re looking for the option that perfectly suits her style or symbolizes your relationship, there are options for everyone. We’ve assembled a quick and simple guide to select the perfect setting for a 3-carat diamond ring. Acquiring the perfect diamond is your first step. A quality diamond of that size usually starts around $17,000, at minimum; for a good diamond with guaranteed integrity that comes from secure and clean sources (always avoid conflict or blood diamonds), you can spend upwards of $35,000. If you’ve already got the diamond, or at least know where you’re getting it from, you’ve got one of the hardest and most expensive parts out of the way. Now for the fun part: choosing the setting! While the diamond you select says a lot about your love for and commitment to your partner, the setting communicates far more. The setting you choose speaks to your relationship and the kind of relationship you want to have as the two of you move forward together. It’s a heavy responsibility, but do not fret; this guide will lead you to the perfect setting. 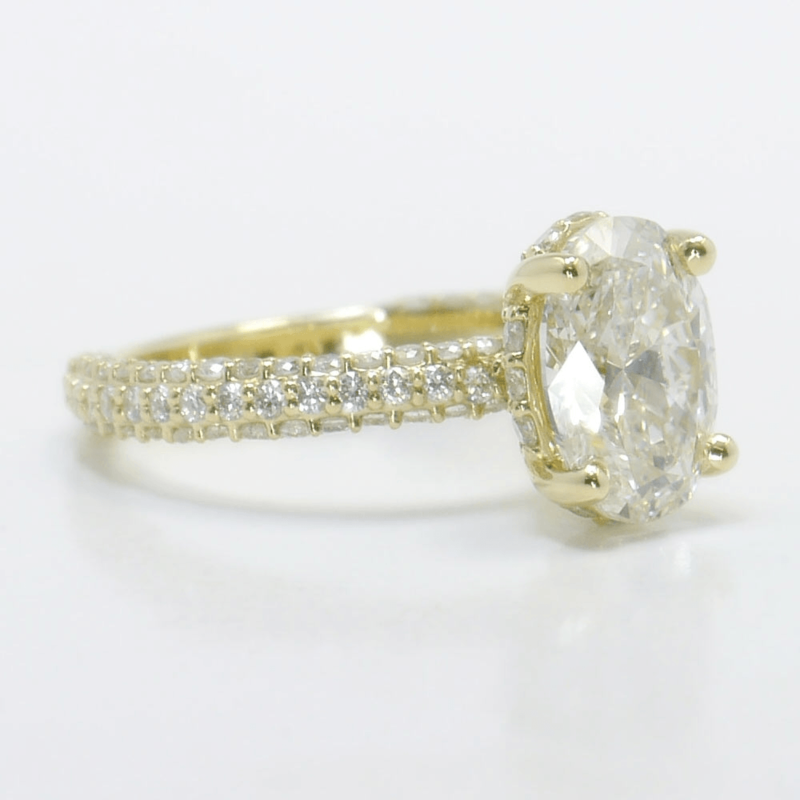 For a love that will last the ages, you need a ring that flaunts timelessness. The tulip designed setting has a classic, vintage look whose intricacies could be studied for hours. Four stems sprout from the band to clutch your diamond in place, in a secure yet simple and graceful grasp. For additional brilliance and luster, you can add matching bands with further diamonds; but for the couple whose love needs no embellishment, the simply elegant design of the tulip setting will complement your relationship perfectly. For the couple looking to celebrate their love around the world, you’re in need of something that is as durable and secure as it is brilliant and beautiful. If you want to add an extra layer of sparkle to your 3 carat diamond ring, then the halo setting is a good choice as it surrounds the center stone with one or more rows of tiny diamonds in a concentric circle to create a dazzling radiance. The halo can be further highlighted by the accent of a split, in which sparkling diamonds frame the halo which encircles your diamond. Though a platinum or white gold band would be fitting, a rose gold band may be preferable, as it highlights the smaller diamonds. This look can be taken into any environment; while subtle and discreet enough for your adventures through rough terrain and parts unknown, its classic elegance will still be noted at galas and balls. For the unstoppable and adventurous, the halo setting is the perfect fit. In the pavé (French word for “paved” and pronounced as “pah-vay”) setting, the surface of the ring band is literally paved with one or more rows of several small diamonds, while the main diamond rests in the center. This setting is a classic for a reason. 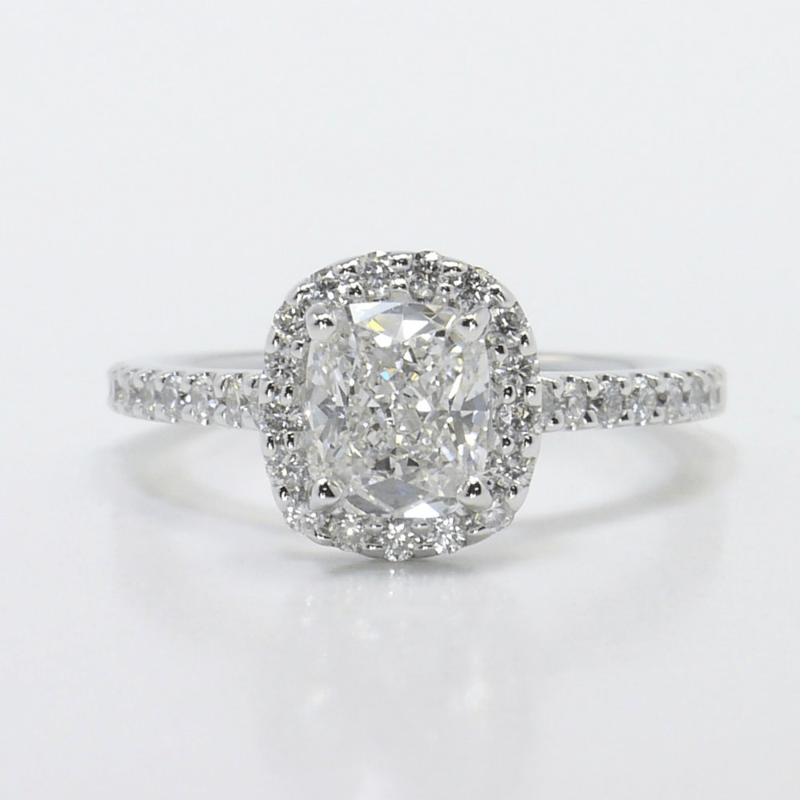 Its elegant design perfectly showcases the cut, shine, and sparkle of your diamond. The pavé setting adds luminous brilliance that highlights the centerpiece of the ring – your diamond. With the selection of a light band, preferably in platinum or white gold to complement the undertones of the diamonds, it adds an incomparable luster to your centerpiece. Furthermore, the design speaks to your relationship with the one you love so much. You can also combine these ring settings into an unlimited number of new and innovative styles. In the end, keep in mind that the right setting for your ring will be the one that fits her style and showcases the diamond at its best brilliance. 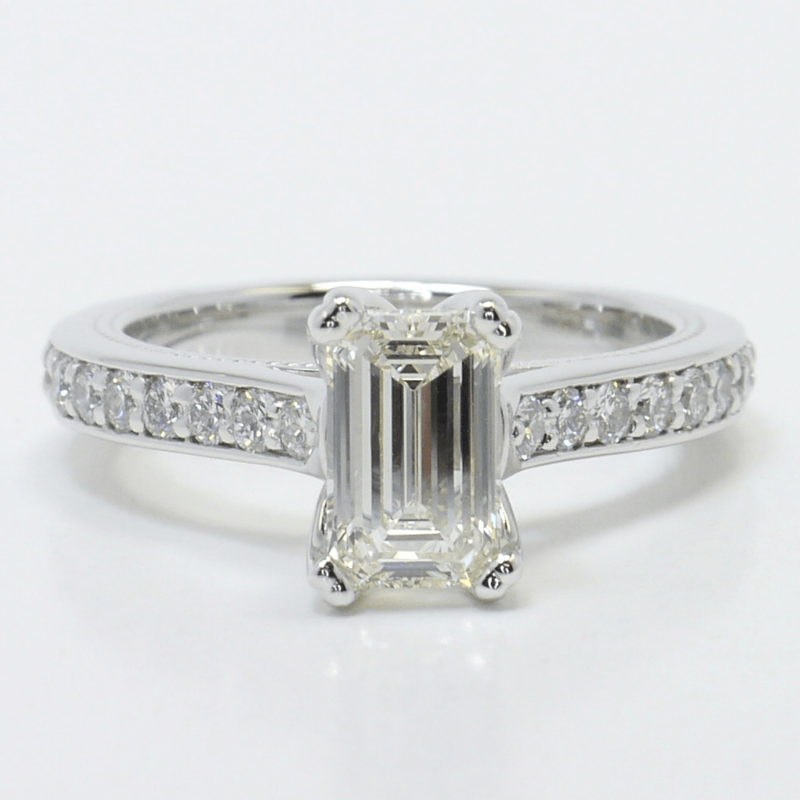 Once you have the engagement ring, you can complement both of your wedding ring settings to match!